The popularity of the tablet for digital media is catching on. Unfortunately, the RC hobby is notorious for lagging behind current technology. Maybe I should rephrase that last statement; RC hobbyists are notorious for resisting change. Let's face it, there are still clubs out there full of members that hate anything electric, don't trust 2.4, and do whatever they can to discourage the shift of our hobby's technology to new members, and new pilots. I was discouraged last year when I was trying to find a digital RC magazine for my Kindle Fire. However, it didn't surprise me. I also knew eventually there would be one, so I had to wait. 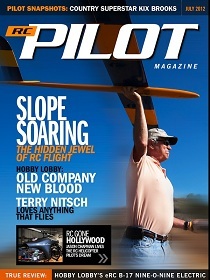 Just before Toledo I began to hear about RC Pilot Magazine which was going to be completely digital. I was very excited to imagine a real digital magazine and not simply a PDF of a printed magazine. I was disappointed, however, that it was only available for the iPad. Oh well, I might eventually get one. At the Toledo Weak Signals show, I walked up to the RC Pilot booth and expressed my appreciation for their magazine and I was pleasantly surprised when they informed that it would be soon available for the Kindle. SWEET! Fast forward to present day. 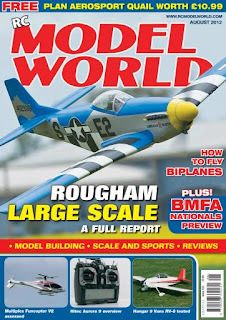 There are at least four major digital RC magazines out and I figured this would be a great time to review each of them. (I admit it, I do love RC magazines. I don't deny their short comings and I actually make fun of them most of the time, however I can't stay away.) I'm also exploring advertising for ATTF and I figure that a digital magazine is the perfect place targeting the perfect demographic that we're looking for. I'll be doing this in a 6 part series. Part 1 is this introduction, one part for each magazine, and finally a conclusion. 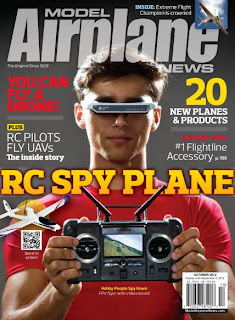 As a host/owner of the AllThingsThatFly.com podcast, I did interview Michael Kranitz, owner of RC Pilot magazine recently and they have donated a prize to one of our giveaways. I am a paid subscriber and I am in no other way affiliated with RC Pilot. 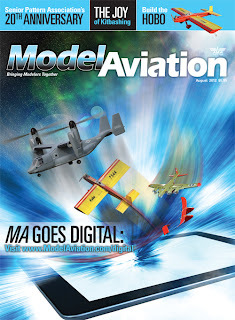 Regarding Model Aviation, I am an AMA member and that's the extent to my relationship with them. I have absolutely no ties to the last two titles which I have reviewed. Besides my paid subscription to RC Pilot, I have purchased the individual issues of the other magazines I will be reviewing. I'll be looking at all of the bells and whistles the magazines utilize to set them apart from a fancy PDF. In-line video, animation, creative slide shows, links, audio, etc etc. I'll also compare what the magazine claims to offer compared to what's actually inside. I'll be judging on the quality of the articles. Granted, this doesn't have much to do with the magazine being digital, but it's a key factor in any magazine. If readers don't enjoy consuming/relating to the actual information, it doesn't matter how many cool features the magazine has. How hard is the magazine to navigate? Does everything work? Do I become agitated at anytime during the read? Finally, I'm going to rate each magazine on how it looks overall? Do I enjoy looking at it? Is it pleasant to read? I understand this can be a very personal area, but I feel it's warranted. Look for the following parts of this review in the coming weeks. Use the label "Digital Magazines" here in my blog to just bring up the posts for this review. Part 3 is going to cover what can be the most time consuming, nerve racking, and important processes when building an ARF. Gluing in the horizontal stabilizer perfectly spaced and perfectly aligned. I think the importance of this step is often not realized and modelers often end up with a misaligned stab & elevator which will lead to unusual flying habits. Check out the last section of Scott's article Assembling your new ARF to read his explanation and tips on "Squaring The Tail"
One model-specific thing to note with this MXS is that before you even get to the alignment of the stab, you have to make sure to install the elevator UPSIDE DOWN FIRST before sliding the stab in. (see pic below taken from the official assembly manual) This is due to the large counter balances on the elevator and the fact that they're larger then the opening for the stab, so you need to slide it in at an angle. Once inserted into the fuselage the elevator can be rotated 180 degrees and placed in the proper location. After the elevator is in and rotated correctly, slide the horizontal stab into place. This is where the fun begins! The first alignment process is to make sure the stab is aligned with the main wings. I've found that using the wing tube is the easiest way to do this. 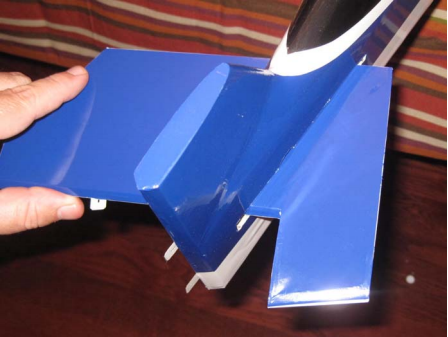 Insert the wing tube and hold up the tail while looking a the plane from behind. Visually line up the stab and wing tube. From here, you'll be able to see if it's aligned or not. If it's not aligned, then you'll either have to add some shim material (I usually use strips of cardboard) or sand down the material opposite of the shim. You might get lucky and not have to do anything. You might only need to shim...or you might have to shim AND sand. About half of all ARFs that I've build have needed some adjustment here, so be prepared. Not fixing this can lead to unexpected traits during pitching of the plane in flight. Attempting to remedy this after the stab have been glued in place would be a nightmare so taking care of it now is the best bet. This, unfortunately, is the nature of the ARF beast. After you have aligned to the wing, you need to square it with the wing. I've heard of some people measuring from the front tip of the horizontal stab to the end of the wing tube. This seems like a good idea except you should keep in mind that unless you remember to get the wing tube exactly centered in the fuse, you'll never get the measurements correct. I suggest attaching the main wings at this point and measuring from the same point of each wing, to the same point on each stab half. (corner or end hinge line are examples) For me, this is the most time consuming part. I find it helpful to measure each half of the stab to make absolutely sure it's centered in the fuse. After that, I take a tape measure and start adjusting until I get the exact same distance from the wing to the stab on both sides. You'll find that you'll figure out what the magic measurement is, but the hard part is getting it! Once everything is perfect, put a few drops of CA on the stab to lock it in place. Now you can fully glue the stab in with CA. Congradulations! You're done with what I think is the hardest part! The last thing to do is attach the elevator with the supplied CA hinges using the same method we used on the ailerons.